Well today has been really good, Murray finally won at Wimbledon granted it wasn’t actually the Wimbledon tournament but he won AT Wimbledon so YEYYYY. I can’t really explain in this blog how much I was willing him to win because he really did deserve to win! Then after we watched Murray smash it in his final we made our way to James’ sister’s engagement party and it was really nice. We got to meet her fiancées family who all seem very nice indeed. I did however seem to attract and unwanted admirer. Now it’s not something I talk about very much but recently I pretty much decided not to get involved with anyone. If anyone ever wonders I CHOOSE to be single. Most people will probably think I’m ridiculous but the thing is I don’t want to trap anyone in a relationship with me. Some of you will probably be wondering what the hell I mean. The thing is that I wouldn’t really tell someone that I just met that I am as ill as I am. Then I wouldn’t want to get involved with someone and then tell them, I would feel like I had tricked them. I know it sounds ludicrous because most people probably wouldn’t feel that way. But me I know that if I started going out with someone and then they told me a few months in that they were dying, I know I would feel tricked, it’s irrational I know, but it’s the way I feel and I would never put anyone through that. So I’ve decided that I’ll wait till after I get my transplant and I’m better, then I’ll start going out with people. Because if I were to die I’m already leaving so many people that I love behind I wouldn’t want to add anyone else to that list. This guy was really not my type anyway and it’s very flattering that he liked me but as of right now I’m really not interested in going out with anyone. Well once again I didn’t write something everyday, but I have been preparing some future blogs for you guys. The problem is it’ll take me a few trips to the hospital before I can publish them. So something for you guys to look forward to. I’ve only had one bad day this week which is pretty good I think. It is getting really annoying constantly going on my oxygen especially after years of not really using it at all. I know it’s all a part of the package I couldn’t really expect to get this far without it going to downhill a little. Luckily my week has been jammed packed full of Olympic goodness to keep me occupied. I have been cheering on Mo Farah, Tom Daley and even Bolt and Blake of Jamaica. 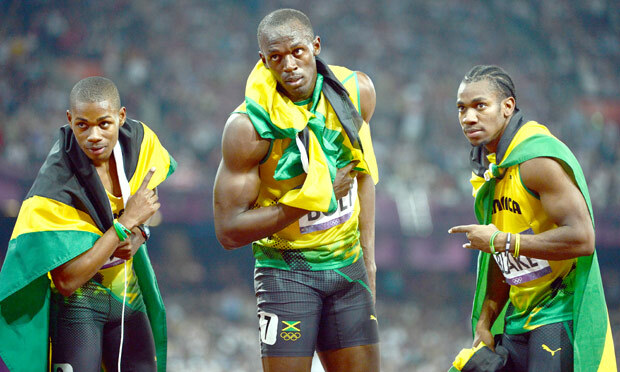 I know they are Jamaican but you have to cheer on people who are that good, so I won’t apologise for it. 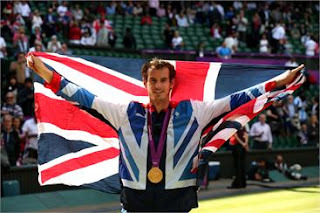 There are loads more who I have been cheering on but far too many to mention in one blog post. Work was really good today it went so fast which is always a bonus and I got to see Caroline and Andy which was so lovely because ever since my hours have been cut down and I had to give up Sundays I haven’t really seen a lot of my work friends, who always brightened up my days when I go to work. I can understand why people who are on the transplant list or who are seriously ill have a very small network of people because unfortunately the more ill we get the less we do. Although I have never let my illness get in the way of my friendships sometimes it pushes itself in the way. I’m very lucky that I have amazing friends who are more than happy to drive me to and from places and pick me up when we go out, because they know I find it hard getting anywhere, even getting to the bus stop. If I didn’t have them and my family I know for a fact I would literally stay in most days because I find it so hard getting around. But I can definitely understand why the more ill people get the less people they can have in their lives, I know I definitely have less people in my life since college, but I know that the people that I do have are wonderful and amazing and I wouldn’t change them for anything! That’s really it for this blog I know it’s not very long but I will probably have another blog on Tuesday which for those who don’t know the ins and outs of someone with PH may find interesting and next weeks blog will probably be more interesting because I’m off to Cardiff shopping and then Hammersmith for a PH appointment.